Acai, also known as açaí or assai is a well-known Amazon’s functional foods which are widely used in the world. There are many benefits to Acai’s suspected use in the nutraceuticals growing market. 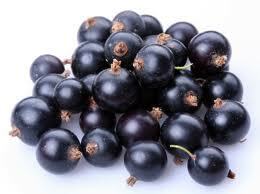 The extracts of acai are made of polyphenolic compounds with antioxidant properties. Orientin, isooerientin and vanillic acid are present in the higher amounts, as well as anthocyanins such as cyanidin-3-glucoside and cyanidin-3-rutinoside. The presence of these compounds are responsible for acai’s antioxidant, anti-proliferative , anti- inflammatory and cardioprotective properties. Origin: The Euterpe genus has about 28 species located in Central and South America and distributed throughout the Amazon basin. The three species that occur most frequently are E. oleracea, E. precatoria and E. edulis. However, only the first two species are commercially used for their fruits. The major difference between the two species is the way the palms grow. E. precatoria is a native of the state of Amazonas, popularly known as “acai-do-amazonas” and is found in the Amazonas River Basin, in a land area of upland and lowland, most commonly seen south of the equatoand especially in occidental Amazonia. On the other hand, E. oleracea, popularly known as “acaido-pará”, is found mainly in lowland and in flooded forest land of the Amazon River estuary, in the Brazillian estates of Pará, Maranhão, Tocantins, Amapá, and also in Guyana and Venezuela. Despite the greater amount of Euterpe specimes concentrated in the eastern side of the Amazon forest, it is also observed in the setentrional area of South America. Consumption of açaí pulp has been increased significantly in the last years, not only in Brazil but also in Europe and USA, where it is called a “super fruit”. Açaí is used not only by food industry, but also by the cosmetics and pharmaceutical industries including, nutraceutics. The pulp of acaí is easily separated from the seed by grinding the açaí berry in water and then freezing until the day of use. The amount of water added to açaí will determine obtainment of a final liquid or a sort of a concentrated açaí juice. At nowadays the aqueous extract pulp of açaí berries is used to make juice, ice-cream, sweets and many kinds of food and beverage and usually the seed of açaí is discharged. Approximately 202.216 tons of açaí berries were processed in Brazil in 2013. Interesting açaí consumption has become very popular among young Brazilian people as an energetic drink. Pharmacological studies on açaí berries are recent and the majority of them started in the beginning of last decade and were mainly concentrated in the chemical composition and antioxidant effect. Since then various pharmacological studies were performed with both pulp and\or seed extracts demonstrating the presence of important pharmacological effects. The main active ingredients of açaí include a range of fatty acids and polyphenols, most notably anthocyanins and flavonoids. The main polyunsaturated, monounsaturated and saturated fatty acids include oleic (56.2%), palmitic (24.1%) and linoleic acid (12.5%) The main anthocyanins are cyanidin, delphinidin, malvidin, pelargonidin and peonidin and the other phenolics include catechin, quercetin, ferulic acid and resveratrol. Chromatographic analysis of açai pulp showed the presence of a significant amount of flavonoids, where two anthocyanins, cyandin 3-glucoside and cyanidin 3-rutinoside were found to be the most predominant. 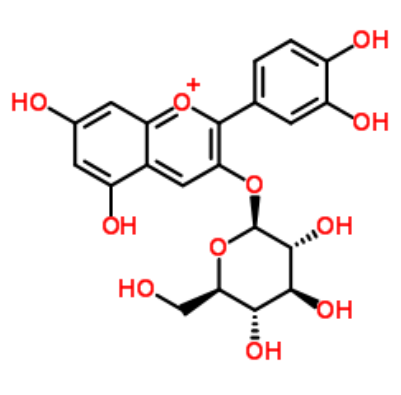 However, protocatechuicacid and epicatechin were also identified as minor compounds. Chemical composition of açaí pulp has been extensively revised and the content of polyphenols in hydroalcoholic extract of açaí seed and pulp, measured by analyzing for total phenol by Folin-Ciocalteau procedure was approximately 25% and 18%, respectively. Differently from the pulp, chemical analysis of hydroalcoholic extract of açaí seed (ASE) showed the predominant presence of catechin, epicatechin and polymeric and oligomeric proanthocyanid. delay the ageing process’, as an antioxidant. Overall, the clinical evidence is weak according to the Heinrich et al. 2011. In one pilot study, the usage of acai fruit pulp lowered the levels of different markers of metabolic disease risk in overweight adults, indicating that further studies are warranted. Antioxidant and lipid peroxidation levels in 12 volunteers in a randomised, placebo-controlled crossover experiment showed statistically significant positive changes both 1 hour and 2 hours after consumption. In rabbits, an improvement of lipid profile and an attenuation of atherosclerosis were observed after açaí administration. Açaí pulp promoted a hypocholesterolaemic effect in a rat model of dietary-induced hypercholesterolaemia, through an increase in the expression of ATP-binding cassette, subfamily G transporters and LDL-R genes. Açaí pulp extracts also produced a significant concentration-dependent reduction in cyclooxygenase-2, p38 mitogen-activated protein kinase, tumour necrosis factor-α (TNF-α) and nuclear factor-κB (NF-κB) in a mouse brain BV-2 microglial cells, suggesting a protective effect of açaí pulp fractions on brain cells, which could have implications for improved cognitive and motor functions. Studies have reported that only 0.002–0.003% of anthocyanin glycosides were present in human plasma 3 h after administration of blueberry extract. In addition, data also suggests anthocyanins are rapidly absorbed with very poor efficacy in humans. In vitro absorption trials using Caco-2 intestinal cell monolayers demonstrated that cyanidin-3-glucoside and cyanidin-3-rutinoside were similarly transported from the apical to the basolateral side of the cell monolayers (0.5–4.9% efficiency), while no polymeric anthocyanins were transported following incubation for up to 2 h.
The addition of polymeric anthocyanin fractions also decreased monomeric anthocyanin transport by up to 40.3 2.8%. Consequently, the presence of anthocyanin polymers may significantly influence anthocyanin absorption properties in acai fruit products reducing the monomeric compounds’ bioavailability. Overall, there are very limited in vivo studies on the bioavailability on both flavonoids and anthocyanins. The forms in which proanthocyanins are absorbed or metabolized are not well understood and, therefore, their in vivo capacity is still open for interpretation. Moreover, proanthocyanins account for a major portion of flavonoids consumed in our diets and acai’s chemical composition does not stand out as being different from such a diet. No clinical reports of any interactions are available. No specific contraindications are known. A daily consumption of 300 ml of açaí pulp would lead to a six-fold excess of the recommended daily intake of manganese for an adult, which in turn would negatively impact on iron absorption. 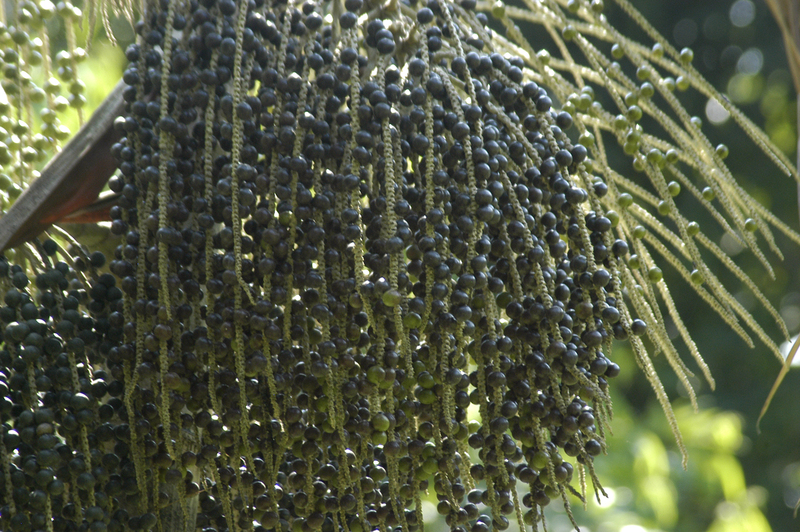 Overall, açaí fruit is considered to be safe although very limited data are available. High levels of manganese have been identified in the fruit, which may be above the daily recommended dose and thus might negatively impact on iron absorption. For products, follow manufacturers’ instructions. No adequate dose-finding studies have been conducted. The use of 120 ml fruit juice per day has been suggested, but evidence for this dose is lacking. Hydroalcoholic extract of açaí seed has a significant antioxidant action, an endothelial dependent vasodilator effect, and antihypertensive, antidiabetic, antiobesity, cardiovascular and renal protective effects. Probably those actions depend on the high concentration of polyphenols in the skin and seed of açaí, that interesting are different in actions and in polyphenols concentration and composition. The effects of açaí are dependent on stimulation of eNOS, phosphorylation of AMPK, adiponectin activation and decrease of oxidative stress. Those pharmacological effects support that açaí extracts may have a beneficial action in patients with metabolic syndrome. It is known that foods with high levels of proanthocyanin have protective antioxidant effects. For example, blueberries (255.8 mg/100 g DW), have a much lower proanthocyanin profile as compared to acai (1289 mg/100 g DW), but studies have shown that enriched blueberry extracts given to healthy adult mice after inducing brain oxidative stress resulted in increased levels of brain ascorbate and glutathione (GSH) levels, and decreased acetylcholinesterase (AChE) activity. Both ascorbate and GSH are antioxidants and protect cells from harmful reactive oxygen species. Notably, even though acai berry has increased levels of proanthocyanin compared to blueberries, there is currently no scientific evidence to assert acai’s antioxidant role. Hogan et al. (2010) investigated an anthocyanin-rich extract derived from ac¸ai powder on the proliferation of C6 rat brain glioma cells and the human breast cancer cell line MDA-468 using an MTT based assay. The extracts dose-dependently suppressed proliferation on C6 rat brain glioma cells but had no effect on the growth of MDA-468 breast cancer cells. Results indicated that anthocyaninrich acai extracts had a significant effect both compared to untreated control and to blueberry, guava or red raspberry. A dose range for these berries and experimental details were not provided and details about the composition of the extracts used are also lacking. Therefore, the positive finding that acai was far more successful in inhibiting the proliferation of C6 rat brain glioma cells rather than anthocyanin-rich berry extracts must be examined with caution. DNA fragmentation was detected in cells treated with an acai extract in concentrations of 100 and 200 mg/ml after 48 h, but not in the controls. No underlying mechanism or pathway was proposed. Overall, the anticancer claims cannot be confirmed based on such in vitro data. According to Hogan et al, the anthocyanins normally found in acai are unlikely to contribute to the antiproliferative activity of acai extracts on C6 carcinoma cells. Can Acai reduce doxorubicin toxicity? Study in mice investigated the effects of acai pulp when administered together with the antitumour agent doxorubicin (DXR). Cardiotoxicity is a well-known side effect of doxorubicin and is caused by reactive oxygen species and therefore, the use of antioxidants might be a useful strategy. Both acute (24 h) and subacute (daily for 14 consecutive days) administration of acai pulp (in each case 3.33, 10.0 and 16.67 g/ kg body weight) was investigated and was administered before doxorubicin was given. Treatment doses of acai pulp caused a significant decrease in the frequency of polychromatic erythrocytes (induced by DXR in bone marrow and peripheral blood of mice) when compared to the positive control in all three dose regimens. Similarly, the results of another study demonstrated that acai pulp administration significantly reduced the DXR-induced genotoxicity when compared to doxorubicin alone with all three treatment doses. For both tudies, subacute treatment was more effective in inhibiting DXR-induced genotoxicity. Overall, the results were encouraging as all three doses elicited inhibition of doxorubicin side effects. Therefore, acai may serve an adjunct role in the treatment of cancer to aid in the prevention of cardiotoxicity which is one of the main reasons for stopping doxorubicin-based cancer treatments. One study on rats which were fed with hypercholesterolemic diet and had increased levels of total and non-HDL cholesterol and reduced levels of HDL cholesterol revealed that supplementation with acai of 20 g/kg resulted in a hypocholesterolemic effect by reducing total and non-HDL cholesterol and the atherogenic index decreased. There was also a observable reduction in serum amounts of carbonyl proteins and total, free, and protein sulfhydryl groups in the acai groups. Acai supplementation leads to a important reduction in the activity of superoxide dismutase only in the hypercholesterolemic rats, indicating a relationship between diet and acai treatment. But, triglycerides levels increased in diets containing acai compared to positive and negative control diets. It has been suggested that such results are linked to the high content of oleic acid which is the major fatty acid found in acai, constituting (56.2%) of the fatty acid profile. Therefore, even though cholesterol profiles improved, compounds contributing to the rise in tryglicerides must be investigated further. This study also recorded food intake between the four different diets and showed that acai supplementation in the HA diet reduced food intake when compared to the cholesterol diet. This may suggest that polyphenols can reduce appetite.